Sold by One Way Pet and Fulfilled by Amazon. Gift-wrap available. 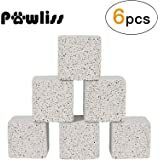 Amazon's Choice for "lava bites for chinchillas"
Sold by One Way Pet and ships from Amazon Fulfillment. 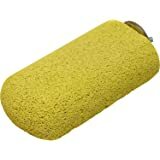 Sold by eastvinci and ships from Amazon Fulfillment. 4.0 out of 5 starsSame great product under a new brand name, but definitely smaller "portion" sizes. My chinchilla absolutely loves these lava bites. 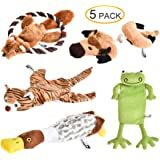 I stopped buying them because they were so expensive at the pet store (about $7 for a pack of six), but I saw this listing with 4 packs that was so much more affordable, so I decided to buy them. I haven't bought these since before Kaytee bought Super Pet and changes the brand name on all their products, but when they first arrived I realized they'd already made some changes. 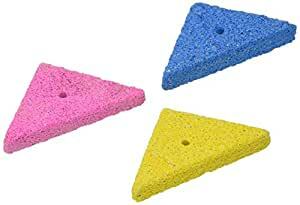 The quality of the pumice/lava stone itself seems to be about the same and they have the same food coloring/dye that discolors my chinchilla's fur (not a worry for me as she is just a pet and not a show chinchilla). The big change is that they are significantly smaller than they used to be. I'm guessing about 25% to maybe even 50% smaller. This makes me feel like it's not quite as valuable at this lower price. My chinchilla absolutely loved it and decimated one chew as soon as it was hung in her cage. I'm not sure if I'll continue buying it in this new smaller size, maybe as an every-once-in-awhile kind of treat. 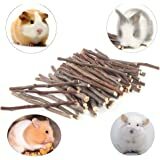 5.0 out of 5 starsThe best chew toys for chins! 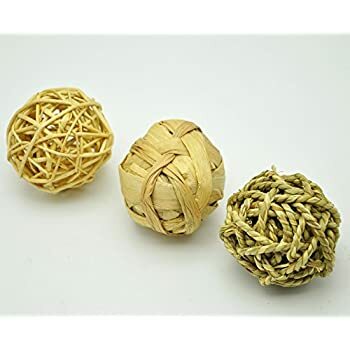 My chinchilla absolutely loves these things and will literally go through one in roughly 2hrs. 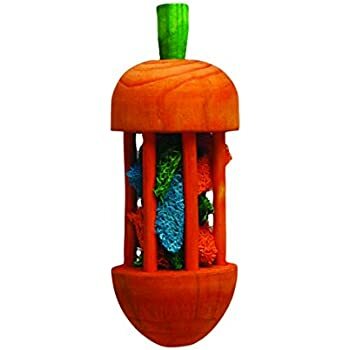 They are great for chinchillas that like to hold what they are chewing and take it around the cage with them. 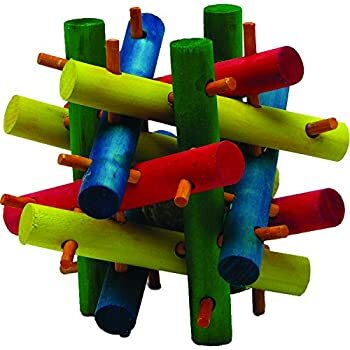 I've bought other pummis stone chew toys for him (like the ones with wood pieces or ropes attached) and they will sit around the cage for months before he's done with them. Also you can't beat the price! What you pay for 12 of these here is what you pay for 3 of them at Petco/petsmart. They come packaged exactly as the picture shows with 3 per individual pack, with all of them being placed in a larger plastic bag. None were damaged or broken and they arrived on time. I will definitely buy from here again. You'll notice there are 3 packs pictured, although the Product description says 4 packs of 3. I received 3 packs, exactly as pictured, which is still savings over buying them locally so I'm not complaining. If it weren't for that miscommunication I'd be giving it 5 stars. Reordered, and the second order contained 4, as stated in the description. I they'd update their picture they'd be perfect. 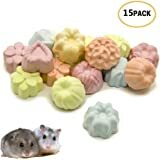 My rats love these. 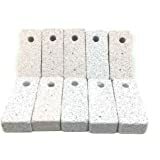 I seem to run out of them, they go through them so much.I also buy the lava ledge. Made by the same company. They chew on those as well. 5.0 out of 5 starsChinchillas Love Lava Bites. 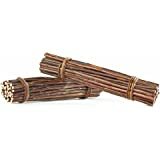 My chinchillas love this along with apple sticks. It keeps their teeth trimmed so no dental trimming at the vet. 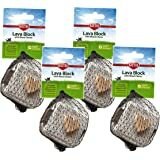 Highly recommend for rodents, rabbits, chinchillas, etc. 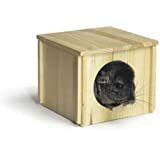 5.0 out of 5 starsGreat for chinchillas! 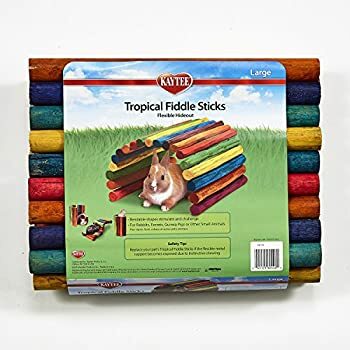 Great for chinchillas. 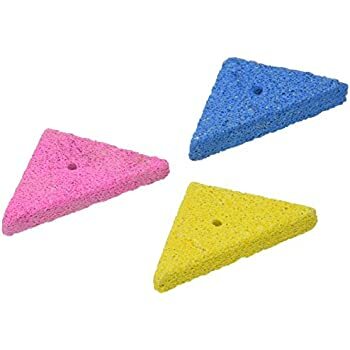 I put these on hanging toys in the cage and they love them. Perfect size. Perfect shape. Perfect chew. Its an all around great toy! They carry them around the cage and even share them! My ratts love them. 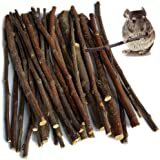 5.0 out of 5 starsGreat chinchilla chew! My boys absolutely love these! They nibble off of them and then roll in the dust!